Availability of spare parts is getting worse. Repairs are delayed. Jets aren’t available when needed and pilots can’t get enough training hours. Surprise, everyone. The F-35 is still a spectacularly inefficient, super expensive shitshow that continues be the national leader in military procurement mismanagement. According to a May 8 Defense Department assessment obtained by Bloomberg, costs for Lockheed Martin’s F-35 will only skyrocket unless the Pentagon starts improving the management of the platform. (Imagine that!) So far, the F-35 program is expected to cost $379 billion to secure 2,443 fighters for the Air Force, Navy and Marine Corps. Even now, just 52 percent of the F-35 fleet is available, which misses the interim goal of 60 percent. What’s worse, 80 percent are needed to start combat testing in 2018. There is a glimmer of hope out of Utah—the 388th Air Force Fighter Wing at Hill Air Force Base there has up to 73 percent of its jets available. Also, the Marine Corps temporarily grounded operational F-35s in Yuma, Arizona, because of reliability concerns with the jets’ maintenance diagnostic systems, Bloomberg notes. One key metric is the average number of flight hours between critical failures, those that could render an aircraft unsafe to fly or unable to complete its mission. 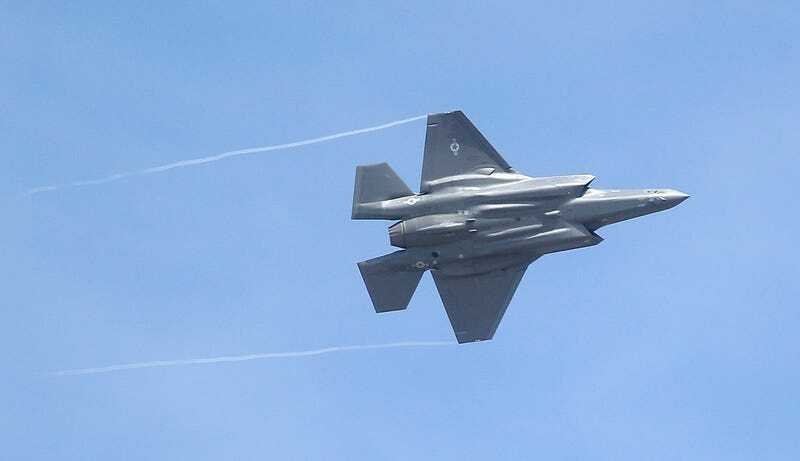 The goal for the Air Force’s F-35 is 20 hours between failures after 75,000 hours of flight. As of August, Air Force models were averaging only 7.3 hours between failures after 34,197 hours of flight, according to the testing office presentation. Of course, none of this is very surprising. We’ve written about the F-35's landing gear issues and how it can’t beat an F-16C in a dogfight. I thought the plane was great now? What the hell happened? Sadly, it is doubtful the Pentagon can do much to reverse this cycle of F-35 misery because, as our own Michael Ballaban wrote, this program needed to be cancelled 20 years ago if that decision was to be made. Canceling it now would cost hundreds of billions of dollars start a new program from scratch. So, yeah, the Pentagon admits the platform is crappy. But that’s been obvious for quite a long time.